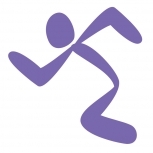 Anytime Fitness is the fastest-growing fitness club franchise in the world, with more than 2.5 million members and 3,000 clubs worldwide. Open 24 hours a day, 365 days a year, Anytime Fitness prides itself on providing our members with surprisingly personable service in convenient and well-maintained facilities which feature top-quality exercise equipment. Join one club and use them all. Clubs are now open in all 50 states, Canada, Mexico, Australia, New Zealand, England, Scotland, Ireland, Spain, Grand Cayman, Poland, Belgium, the Netherlands, Qatar, Chile, India, Singapore, Malaysia, Japan, Hong Kong, Philippines, Taiwan, and China. Franchised clubs are individually owned and operated. The Anytime Fitness beginner's guide to finding a healthier you.